or almost anywhere in the world. 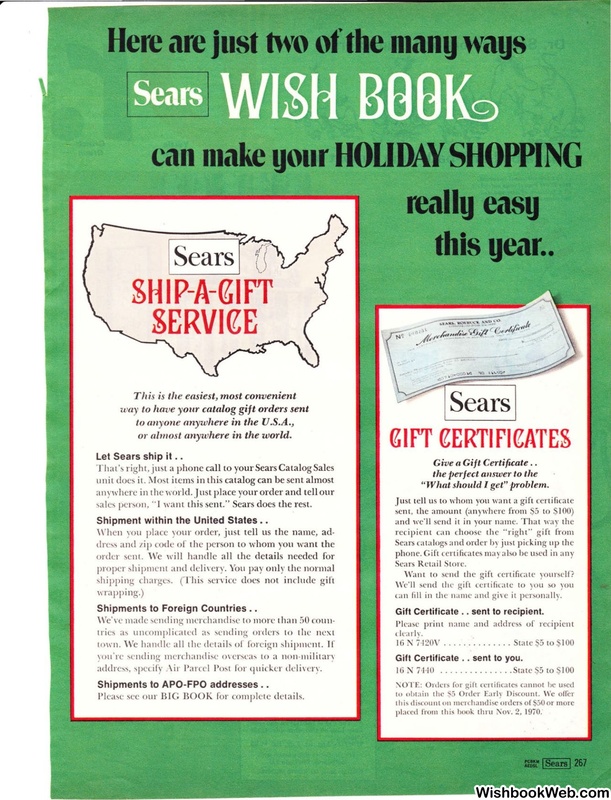 Let Sears ship it ..
sales person, "l want this sen t. " Sears does the rest. Shipment within the United States ..
Shipments to Foreign Countries ..
specify .\i r Parcel Post for quicker dcli\'ery. Shipments to APO-FPO addresses .. Please see our BIG BOOK for complete details. "What should I get" -problem. Want to send the gift certificate yourself? Gift Certificate . . sent to recipient. Gift Certificate .. sent to you.